You probably have pressing questions about trees in D.C. So do we - at Casey Trees we're always learning more from each other about urban forestry, how trees interact with the environment and how to take care of our trees. With the introduction of Tree Talk Thursdays, we are looking forward to expanding that dialogue outwards to you, whether you are a long-time Citizen Forester or a newly interested neighbor. Want to learn about how to take care of trees in the summer heat? Want to find out about the state of the tree canopy in D.C.? Read on. 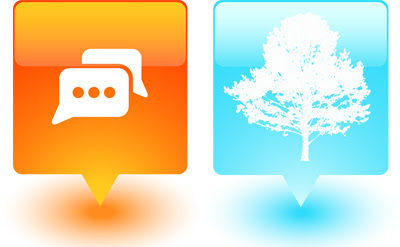 Tree Talk Thursday will be a moderated discussion where we take selected questions from the public and answer them in real time. We will feature the expertise of Casey Trees staff and we will bring in outside contributors to help answer questions and shape the discussion. This is our way of hearing your concerns about trees in your neighborhood and helping to answer your questions. Tree Talk Thursday will also be the best place for you to learn what's new with our organization and how you can help us restore, enhance and protect our city's tree canopy. All Tree Talk Thursday chats will take place live from 12:00 p.m. to 1:00 p.m. on select Thursdays. Our first session will kick off with a discussion on how to properly select and plant trees on April 14. Elizabeth Philbrick, Manager of Frager’s Hardware Store’s Garden Center, will join Mike Galvin and Sara Turner, Casey Trees’ deputy director and urban forestry manager respectively, on the chat. To submit a question in advance or to suggest a topic, email treedc@caseytrees.org. You can also tweet a question or idea @CaseyTrees and we'll take note of your question for the next session. Go to caseytrees.org/treetalkthursdays to tune in to a chat live, or check back afterward for a replay of the chat. Sign up now to get an email reminder for the upcoming session. These talks are open to the public, whether you want to participate or just tune in and learn. Prepping to Plant Trees - Shopping and planting smart. Tree Report Card - Grades are in. Reporting on how D.C. did. Certified Arborists - Why you want one, where to find one. Summer Tree Care - A tree survival guide. Trees of Note - Discovering, appreciating notable trees in the D.C.
Weathering Storms - Minimizing damage to trees and property.